The JFW rotary attenuator has been a staple to RF engineers for more than 30 years. 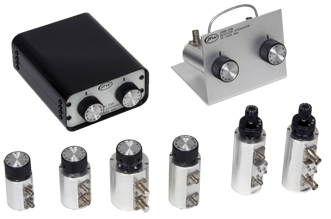 In that time, our line of manually variable step attenuators has grown to include over 700 models. With a wide variety of attenuation ranges, step sizes and tuning options, JFW has solutions to fit almost any variable attenuator application. At JFW Industries, we can literally put reliable attenuation at your fingertips. Our years of proven quality and performance make a JFW variable attenuator right for any RF environment.